This is just a short post to announce my participation in the “Food in Film” Blogathon, hosted by Speakeasy and Silver Screenings, November 3-5 (not sure which day I’ll be posting yet). I will be reviewing the early Max Linder comedy “Troubles of a Grasswidower” (1908), which is a classic situational comedy in which Max’s wife goes home to mother and he has to learn to fend for himself – cleaning, shopping, and cooking. How will Max fare in the kitchen? Check back here to find out. Thanks to Kristina and Ruth for hosting! For years now, I’ve semi-seriously joked about starting “a second blog” for all the movies I watch that aren’t part of the Century Film Project. Believe it or not, the majority of my viewing time and expertise is not really devoted to 100 year old movies! 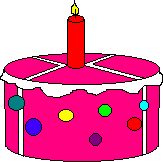 But one blog is a lot of work to keep up, and it has begun to look unlikely that I’ll be able to manage two before retirement. I do write short reviews, however, of every movie I’ve seen twice. I’ve been doing that for over five years, and my “review” folder has over 1500 such reviews stored up. I recently learned about the “Letterboxd” social media service that lets film buffs track their viewing and share reviews. This looks like a lot less work than trying to build an entire new blog! So, I’ve gone ahead and opened a profile and started putting my reviews there. If you’re curious what my “normal” taste in film looks like, you can check out my profile here. If you use Letterboxd, follow me to see the reviews as I share them, and also to track my first-time views (sans reviews) as they happen in real time! I’m a bit late with this announcement, but there’s still plenty of time before the event! Movies Silently will be hosting the “Swashathon,” a blogathon dedicated to swashbuckling movies, TV shows, etc, and I will be participating. I will be covering the 1917 Douglas Fairbanks classic “A Modern Musketeer.” The event takes place July 14-17. For more information, and a complete list of entries to date, see this post at Movies Silently. This is just a quick post to let my readers know that I will be participating in the Early Women Filmmakers Blogathon, hosted by Fritzi at Movies Silently! I plan to do a writeup of the career of Alice Guy Blaché, whose movies I covered extensively last Spring/Summer. I did my retrospective on 2016/1916, and now it’s time to start looking ahead to the future! Next year will be 1917, an exciting year for Century News and for movies! In some ways, I think of 1917 as the first “normal” year of American movie-making. It’s not a groundbreaking year that introduces new techniques or standards, nor is it dominated by a single name or talent, it’s just a year when hundreds of new features were produced and marketed. While seeing a movie from 1914 is something of an accomplishment, lots of classic film buffs have seen (or at least heard of) one or two from 1917. This year, the Academy Awards are scheduled for February 26th, so that’s the day I’ll be posting my Century Awards for 1916. Be sure to tune in and see how your favorites did. The nominations come out on January 24, so there’s hardly any time at all for me to catch up on everything I missed this year! On February 3, I’ll be taking part in the “Oh! 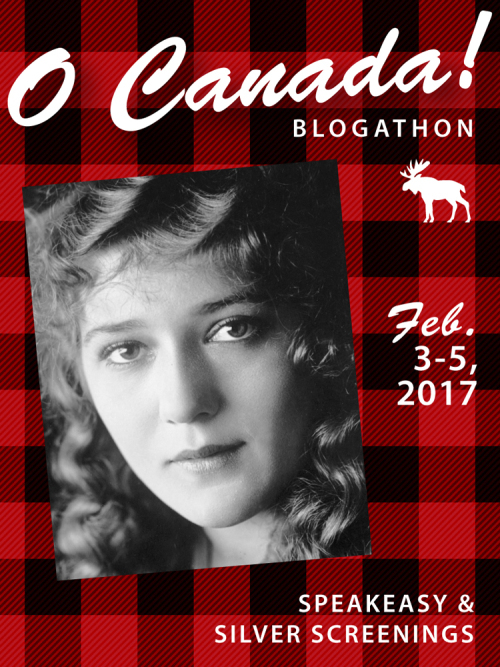 Canada” blogathon, sponsored by two of my favorite blogs, Speakeasy and Silver Screenings. I’m signed up to discuss “Canadian Official War Films” from the First World War. Canada was for almost three years my adopted home, so I’m happy to get a chance to discuss their contribution to history and the history of film. 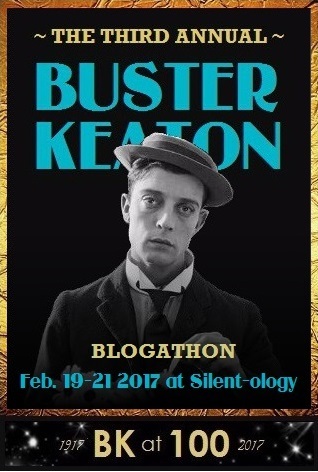 1917 marks the beginning of the career of the third member of the “Big Three” slapstick comedians (Chaplin and Lloyd are already working), and I’m excited to participate in the “Third Annual Buster Keaton Blogathon” sponsored by Silentology on February 19. For that, I plan to review “Oh, Doctor!” one of the movies he made with Roscoe “Fatty” Arbuckle. Looking forward to an exciting year of movies in 1917! Some weeks back I announced “The End of an Era,” but happily events have turned. Without a full explanation, but with a contrite apology, the owner of “The Silent Era” has brought his vitally important website back online. I’m very happy to know this, because 1) it means all my old links are no longer broken and 2) I can continue to refer to it as a source of reliable information about silent film casts, crews, and preservation conditions. Once again, however, the whole situation highlights how ephemeral modern websites can be and the importance of digital preservation. 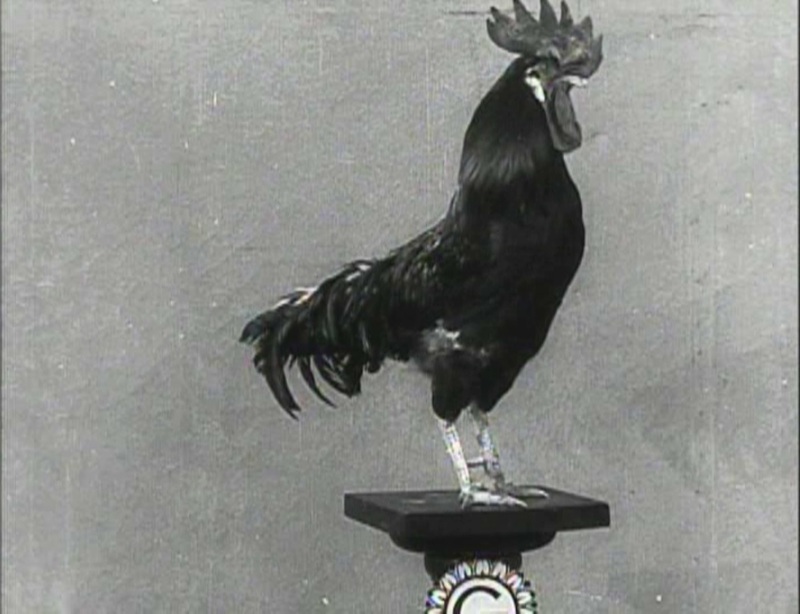 In 100 years, will the modern Internet be as preserved as our silent film heritage is today? How much more of that heritage would exist now if silent producers had been thinking in terms of posterity? I have never quite figured out Twitter, for one reason and another, nor gotten into it. But, I started an account some years ago that I never used. Of late, I’ve been thinking about ways to “boost the signal” of this blog, and looking at what other film bloggers do, I’ve come to realize that Twitter is an important tool. This blog started out being read mostly by my facebook friends, but as it has picked up more people who don’t know me, it’s become important to give them a way to keep up with the posts. Also, from my point of view, this may be a better way to track what’s going on in the film history world than just using my WordPress reader and occasional checkins at the CMBA webpage. Assuming I learn how it works, that is. Therefore, I announce the launch of @CenturyFilmProj !!! Feel free to follow me there if interested. This is a major catastrophe for everyone interested in film history. The Silent Era had been the best curated site for silent film information, details of home video releases, and maintaining a living list of “Top 100+” silent films. To me, it was indispensable, and now it is gone. None of the links are live, and attempts to visit the sub-pages result in an Error 404. I can still access the old information by way of the Wayback Machine on archive.org (this is why I am an archive.org donor! ), but it isn’t going to be maintained and updated. I do hope that some way will be found to archive the site fully and sustain it for historical purposes, but for now, all we have is this very sad word of adieu. Soapbox moment: This is why it is important to establish sustainable models for funding and maintaining our cultural heritage on the Internet. Far too much of this sort of thing is being done on a private or “hobby” basis, and without public support, any part of it can disappear without warning. The Library of Congress should be running a site at least as good if not better than The Silent Era, in line with its mission to “ensure long-term, uninterrupted access to the intellectual content” of our nation. We need one for global film preservation and access as well. It’s time to get serious about digital preservation, curation, and access, and this is why! Beyond that I’d just like to say a word of thanks to Carl Bennett and all of the writers who did contribute their time and expertise to The Silent Era. The Silent Era is over, let’s hope that what comes next is just as good. First up, in March, we have the Marathon Stars Blogathon, hosted by In the Good Old Days of Hollywood and The Wonderful Word of Cinema. I’ll be writing about Gilbert “Broncho Billy” Anderson. Next will be the Beyond the Cover Blogathon hosted by two of my favorite blogs, Speakeasy and Now Voyaging. For this one I’m writing about “Sherlock Holmes” (1916). Last but not least, will be the official CMBA Spring blogathon: “Words! Words! Words!” I’m pretty excited, because that was the topic I proposed, and it won the election (incidentally, the title is a quote from “Dracula” (1931) not “Sunset Boulevard” (1950)). For this one, I’m writing about “20,000 Leagues Under the Sea” (1916).